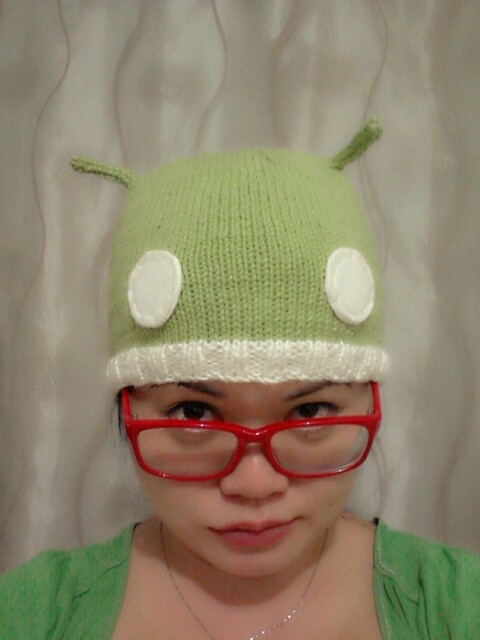 Recently, I made the android hat which is basically a basic bottom up knit beanie with antennas attached. I realised that the measurements are to my own head size only. Depending on the size of your head and the type of yarn used, the number of stitches will be different. 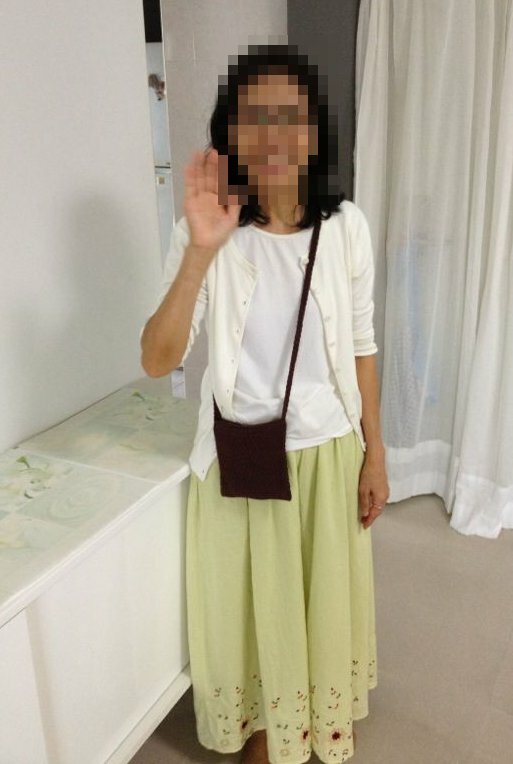 So I decided to write up the basic measurement method which is easily customised to whatever headsize there is (or at least, this is how I figured out my measurement). 1. 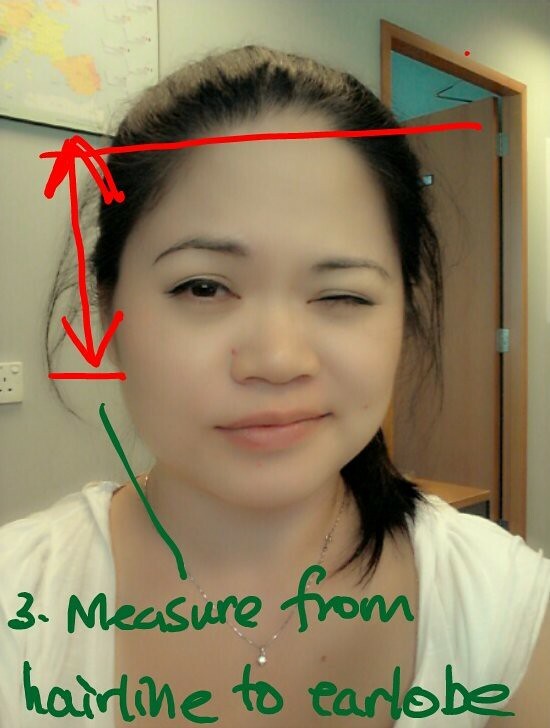 Measure around the circumference of your head. Mine came to 22 inches (holy crap I have a big head). 2. Knit a gauge swatch with your preferred yarn with the corresponding size needles for the yarn. For my android hat, my gauge was 5 stitches per inch. 22 x 5 = 110. However, my ribbed rows were 2 x 2, so I needed the cast on stitches to be in multiples of 4. So, I have to either subtract 2 or add 2 to 110 to get a multiple of 4. In my case, I dropped 2 stitches since I don’t want the hat to be too lose as I didn’t change the needle size for the whole hat, so I got 108 stitches for my cast on. 3. Measure from your hairline to your earlobe. If you don’t have hair, just use your imagination where your hairline will be. 😛 But hairlines differ on individuals. So perhaps 2 inches above your eyebrows. If you don’t have eyebrows, use your imagination as well. 😛 ……….. don’t really know how to put this into words, but it’s from the part where your head starts rounding up to the top! Knit your way up till the hat reaches this measurement then start to reduce. Use a stitch marker to mark every new row. 4. To reduce, divide your cast on stitches with the lowest possible whole number to get a single digit whole number. I will reduce my hat every 12 stitches and I will do this every alternate row. So, to start reducing, I knit 10 stitches followed by knit 2 together. Repeat until you reach row marker. Then knit the whole of next row. 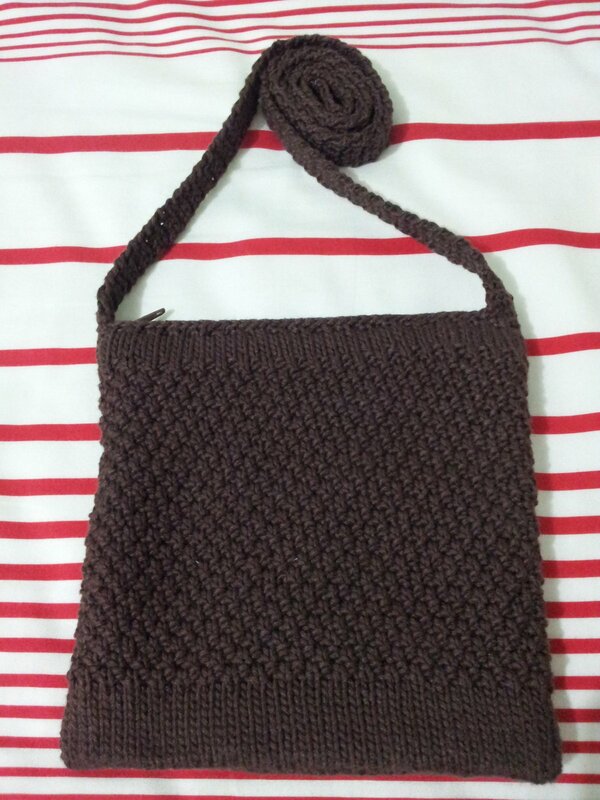 Then reduce again, knit 9 stitches, knit 2 together, repeat till you reach row marker .. etc. Until you have 9 remaining stitches on your needles. 5. Cut your yarn to leave a little for sewing in. Thread the end through a yarn needle and sew through the remaining 9 stitches. Pull firmly and sew in the remaining yarn into the underside of your hat. 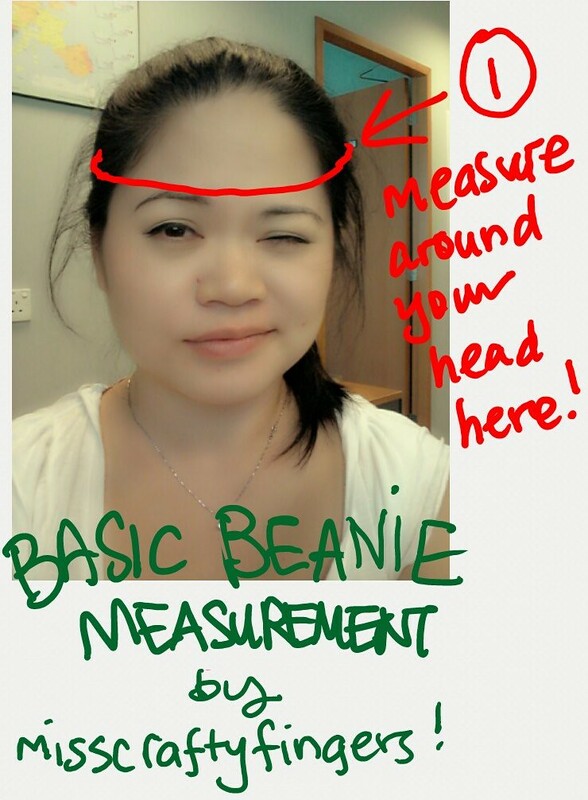 There you go, easy peasy knit beanie calculation. You can use this to customise any hat you want, eg. 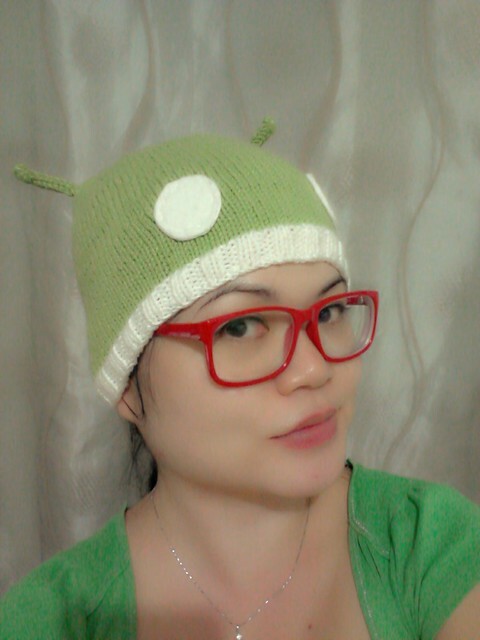 my android hat. Or … make your own PANDA hat! Or anything you want! Any colour! Any size! Anything creative you can think of! I made the hat twice. First time, I tried with the top down method. Knit a flat circle then extend downwards. But it didn’t fit me very well. MY HEAD IS TOO BIG! So I tried a 2nd time. This time just a bottom up basic beanie. After some adjustments, it is finally wearable! YAY! CO 108 stitches on the cable knitting needles, join the round. use a stitch marker to mark start of each row. switch to green yarn and work in stockinette stitch till the stockinette stitch rows are about 4 inches. keep reducing every alternate row, ie. reduce row, k8, k2tgo, repeat till end, k next row, k7, k2tgo, repeat till end, k next row, k6, k2tgo … etc …..
reduce till you are left with 9 stitches, pull yarn through the remaining 9 stitches and sew ends in. repeat on other side of hat. cut 2 round circles of white felt and sew onto the hat slightly above the ribbed rows. Sew in all yarn ends. Note: You can customize the size of your hat with your preferred yarn choice. Do check out my next post for instructions! There you go! 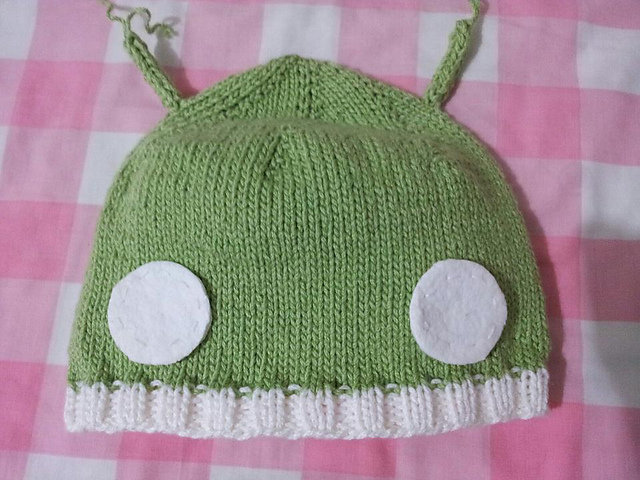 AN ANDROID HAT! YAY! 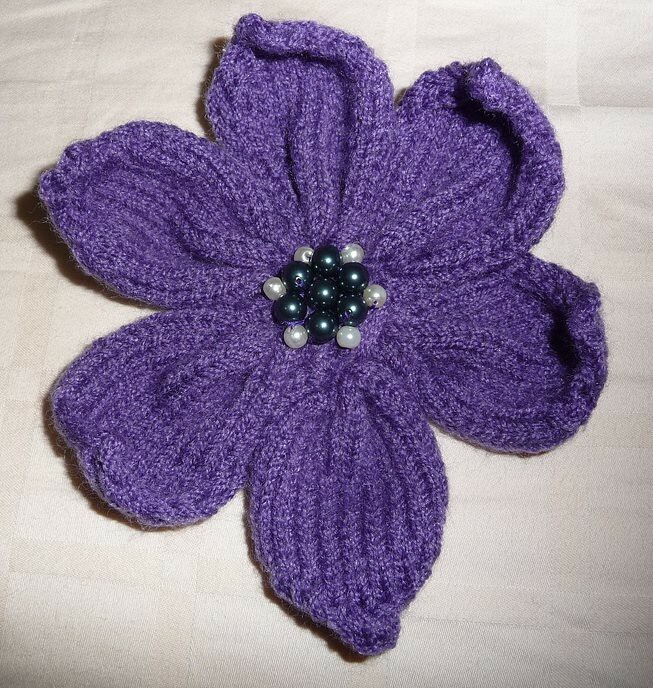 Posted by misscraftyfingers in Crochet, Free Pattern. 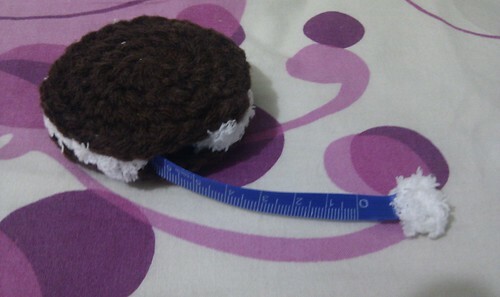 placing the tape measure (the kind which is retractable) between the 2 pieces of brown circles. Sew the 2 pieces together with white yarn (in my case, i used fleece) at the edges. The stitches should be rather loose the first round. Stitch it up somemore to make the “cream filling” thicker. Leave a gap for the tape measure. i sewed the fleece onto the tab for the tape measure as there was a hole on the tab. if not, you can glue it on or something. and there you go! 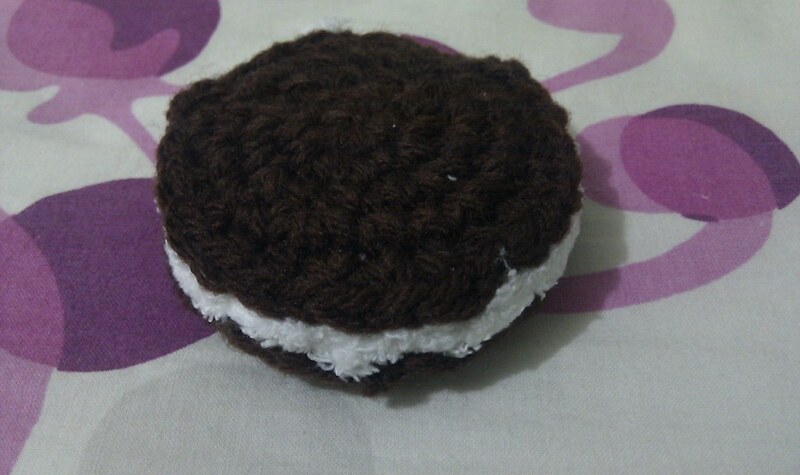 a oreo cookie tape measure!